An AST can be issued for any length of time, but if in length it is less than 6 months you could be liable for council tax and if more than 3 years this would require the signing to be witnessed. It is permissible, under the Housing 1996 Act, to let a property for less than six months. You are not allowed to use a Section 21 Notice, to regain your property back, until a full term of six months has expired from the beginning of that tenancy. 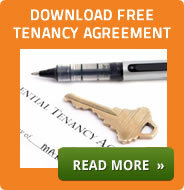 If a property is left to a tenant under a three month Assured Short term Tenancy (AST), and let's say for some reason, that you wish to regain the property back from this tenant at the end of the fixed term - If the tenant does not agree with your request to 'vacate', then you are not allowed to issue a Section 21 Notice that expires before the last day of what would have been a six month AST.